1 Million for Work Flexibility has more than 100 organizations on board to date as part of our coalition—and counting. We’re pleased to share more information about our supporter World Travel Holdings in this Q&A. Many family businesses are small retail stores or service providers that fill a local niche and allow people to shop close to home. But for Brad and Jeff Tolkin, the family business is a global operation that is designed to help people get away from it all. In 2005, the Tolkin brothers co-founded World Travel Holdings, which has quickly grown into the world’s largest cruise agency and an award-winning leisure-travel company with a portfolio of more than 40 diverse brands. The Tolkins serve as co-chairmen and CEOs, and their business partnership has brought them considerable success. For example, they have been inducted into the prestigious Cruise Lines International Association’s Hall of Fame. But the company isn’t only selling cruises. Its divisions include brands like Vacation Outlet, Villas of Distinction, and Resort for a Day, among many others. It also represents some of the best-known brands in the travel industry through private-label partnerships. Despite all of their success, however, the Tolkins have maintained a close-knit company culture that thrives on worker connections. This is especially challenging, as 70 percent of its employees work from home. The company’s commitment to flexibility and to treating its workers well along with a focus on diversification and growth, have helped it position itself as a dominant force in the industry. In this Q&A, Marilyn McCawley, director of human resources for World Travel Holdings, talks about the importance of building a strong corporate culture and how the company’s future growth should continue to benefit both its customers and its employees. 1MFWF: World Travel Holdings prides itself on a corporate culture that is focused, but also fun. Why was this important to co-founders Brad and Jeff Tolkin, and what steps did they take to establish this culture? World Travel Holdings: If you ever hear Brad and Jeff speak, you will hear them say that our employees have the pleasure of helping our customers achieve their dream vacations. It’s only fitting that we also create a fun and engaging company culture where employees are able to build working relationships, grow their careers and benefit from the great travel perks our industry offers. We have a forward-thinking approach to organizational changes, leadership development, increased communications, work-life balance, and promoting from within. Many employees switch departments because of the growth potential and opportunity to learn more. A large number of employees, all the way up to the senior leadership, have been promoted from within. Our executives are highly visible and constantly engage with employees at all levels through various in-person and virtual methods. They believe it is important for all employees to be informed of our overall performance, and also to understand how they contribute to the bottom line. This engagement is especially valuable in our virtual work environment. Having an involved leadership team is inspiring to employees and promotes a positive culture. 1MFWF: How does the company’s culture affect its interactions with customers? What kind of reputation is World Travel Holdings hoping to establish with both customers and employees? World Travel Holdings: Our mission is to deliver a remarkable experience, which means that we strive to achieve this in every interaction we have, whether it’s with customers, suppliers, or internally with each other. In fact, two of our “Company Lenses,” factors that we consider when making decisions, speak to this. “Inspire Each Other” speaks to acting as one team, rewarding and recognizing, and connecting our work to something greater than ourselves. The other lens is “Customer Advocacy”, which guides us in focusing on the needs of our customers and supports our efforts to continue increasing customer loyalty. Employee engagement is also a cornerstone of the company. We understand the importance of happy and engaged employees and the positive impact it has on our employees’ interactions with our customers, as well as on their sales efforts. In addition, we have a great culture of learning which is driven largely by our efforts to get our employees excited about being “in the know” regarding happenings around the company and within our industry. For example, we implemented “Training on Tuesdays” as a way to deliver on-demand learning to agent desktops in bite-size chunks. This has resulted in a major shift in agents being better connected to the company and our industry. 1MFWF: More than 70% of the company’s employees work from home. What kinds of flexible and remote work policies does World Travel Holdings have in place for its employees? How have those policies evolved over time? World Travel Holdings: Over the years, our Customer Care agent population has transitioned from working in call center locations to working from home. We have also transitioned to a fully virtual process of recruiting, hiring, and training. As our work-from-home-program has evolved, the company has also changed its policies to create the structure needed to support our employees while managing the business. This includes providing guidelines on home office set up, an attendance policy based on a points system that gives our agents greater scheduling flexibility, and guidelines on handling technology and power outages that impact accessibility. Another major change we are proud of is our new “Flex” program that provides tenured agents with the opportunity to work part time either on a short-term or long-term basis. Even in its early stages, we have seen success with this program and look forward to expanding it. We believe that flexibility not only to work from home, but also in scheduling, is what employees are looking for. 1MFWF: In addition to more traditional health benefits, your employees also receive significant time off and travel discounts. How are these offerings important to recruiting and retention? How do they affect your employees’ performance of their daily tasks? World Travel Holdings: Paid time off and travel discounts are a great selling point from a recruiting perspective. Candidates who are passionate about travel, and even those that haven’t been able to travel much, are always excited to hear about the travel perk opportunities available. In addition to travel discounts, employees are able to participate in Familiarization Trips and Ship Inspections, which enhance their product knowledge. This increased, firsthand product knowledge helps employees find the right vacation for our customers, in turn enhancing the level of service our customers receive. Employees want to work for a company they feel rewards them and has their best interest in mind. Providing benefits beyond the traditional help attract, retain and reward top talent. We have a Navigator’s Club for our top-performing customer-facing employees and leadership team. This achievement is celebrated with an annual cruise and awards ceremony aboard the cruise ship. They are pampered and treated like rock stars, because to us, they are. Another cool program we offer is STARS, an internal rewards and recognition platform with social elements. Picture a Facebook feed where you can thank a co-worker for helping you meet a deadline or recognize an employee for going above and beyond. There is an integrated rewards redemption platform so employees can accumulate points through various incentive programs and redeem them for anything from an iPad to a gift card to their favorite restaurant or even make a donation to their charity of choice. The social engagement elements are important to us because it provides us another tool that promotes a “team feeling” experience that can sometimes be missing in work-from-home workforces. 1MFWF: World Travel Holdings is growing rapidly. What are you doing to position the company for continued expansion in the years to come? How will the company’s commitment to flexibility help it achieve those goals? 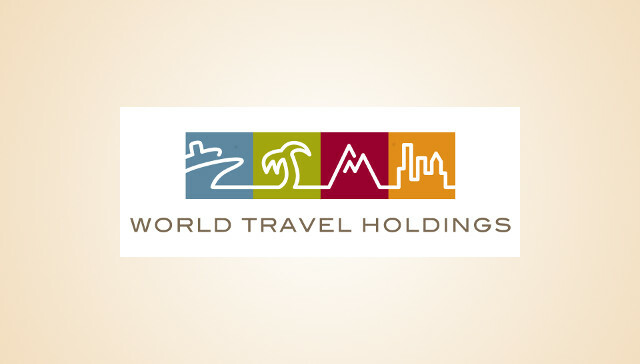 World Travel Holdings: The travel industry is growing exponentially. Shipyards are full of new orders and we are focused on positioning ourselves to take advantage of that growth. Recruiting and retaining top talent is imperative. We have seen success in transitioning our recruiting and training programs from a call center model to a work-from-home model. This has allowed us a far greater reach to find top talent. Now we are focused on how to best engage our work-from-home employees. We are constantly looking at our programs and tweaking them. We’re communicating differently. We’re going out into the geographic areas where we have concentrations of employees and meeting up with them to have face time. We’re using webcams more and encouraging the camera shy to give them a shot. In addition to cracking the code on better engaging a virtual workforce, we are focused on providing this group with more flexibility. That’s what they want. We look forward to growing the Flex Team so that we can capitalize on the increased flexibility options it provides our employees. In a constantly changing customer-service oriented industry, training is of utmost importance. Our mission is to deliver a remarkable experience, and the only way we can do so is to have highly trained and professional agents working with customers daily, and an innovative leadership team. We have several continuing education training programs, which keep our agents and staff among the most knowledgeable in the industry. Having a highly trained team positions us for future growth and expansion. This article is completely false…World Travel Holdings was the WORST company I ever worked for. They have no work life balence the schedules change every 12 weeks and they make changing schedules with co-workers impossible. I wouldn’t recommend my worst enemy work for them. In the 7 years I worked there just about every person that quit did so because the schedules and the lack of a work life balence. I would love to know what they paid you for you to feature them in this article because if you would have interviewed anyone other than upper management you would know the real story. Thanks for your comment Clayton. No payment was exchanged for this interview. Our goal with this spotlight series is to showcase how organizations and employees can benefit from using flexibility successfully, but we’re sorry to hear of your experience.